Turn to J & M Tire and Muffler for quality automotive repair and service in Joplin, Missouri. We work on most makes and models and guarantee quality repairs. Featuring honest and affordable service, experience, and superior workmanship, we are the name to trust for general auto repair and service. 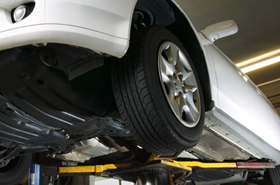 Contact us at our muffler shop in Joplin, Missouri, for professional auto repair services. Call or stop by our muffler shop for all of your automotive needs.